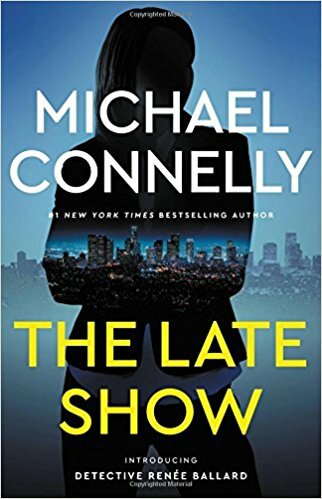 From the bestselling author of the Harry Bosch crime books comes the first novel in a new series focusing on Renée Ballard, a fierce young detective exiled to the night shift after filing a sexual-harassment charge against her boss and now fighting to prove herself on the LAPD's toughest beat. Connelly has never had much success writing memorable women in supporting roles, but this new star is a beauty ... The pacing of Ballard’s debut story is breathless. Unless she’s in the water, she never has a peaceful moment: There’s always a lead to follow, a house to scope out, a late-night call to make ... The novel moves so quickly, racking up so many witnesses and suspects, that it ought to be hard to follow. But Connelly expertly hides a trail of bread crumbs that leads straight to the denouement, with so much else going on that it’s impossible to see where he’s heading ... Ballard is complicated and driven enough to sustain the series Connelly doubtless has in mind for her. Connelly writes passionately about, and captures especially well here, the detective’s high when the pieces of a puzzle fall into place. The most intriguing mystery in The Late Show is Ballard herself. Connelly is too skillful to hand us her resume in one document dump; instead, he fills out her portrait with a subtle hand over the course of the novel, a little background here, a glimpse of her temperament there, the revelation of her unusual living conditions sketched in between ... By the end of The Late Show that portrait is fleshed out and fascinating, but there's still plenty we don't know about Ballard, and that I'm looking forward to finding out. Connelly’s special genius has always been his ability to build character like the most literary of novelists while attending to the procedural details of a police investigation with all the focus of an Ed McBain. He does both here, showing us Renée on her surfboard, working out her Bosch-like demons, but also grinding through the minutiae of the case until she achieves that 'Holy Grail of detective work,' that moment of knowing she has her man. Many established crime writers—James Lee Burke, Ian Rankin, Randy Wayne White—have launched new series as their signature heroes age, but few have done it as successfully as Connelly. What did you think of The Late Show?